The Seaquist family LOVES cherries! Dark chocolate covered, milk chocolate covered, dried, canned, made into pie filling, jam , cherry topping , put into pies, pastries, and most of all, eaten fresh! 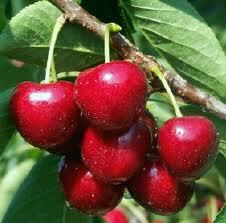 Eat cherries today – you’ll LOVE them!!! Order cherries online at http://www.seaquistorchardsfarmmarket.com. We’ve got cherries! 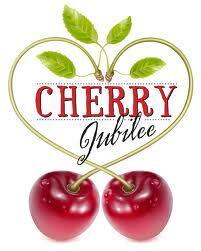 Back to Door County cherry history tomorrow! Here’s a delicious recipe for you – especially good for those of you who need a diabetic friendly recipe. But you don’t have to be a diabetic to enjoy it! Line two 15-in. x 10-in. x 1-in. baking pans with ungreased parchment paper. Prepare cake batter according to package directions. Spread evenly in prepared pans. Bake at 375° for 12-15 minutes or until cake springs back when lightly touched. Cool for 5 minutes. Invert onto two kitchen towels dusted with 3 tablespoons confectioners’ sugar. Gently peel off parchment paper. Roll up cakes in the towels jelly-roll style, starting with a short side. Cool completely on a wire rack. Unroll cakes; spread each with 1 cup whipped topping to within 1/2 in. of edges. Combine pie filling and extract; spread over whipped topping on each cake. Roll up again. Place each seam side down on a serving platter. Cover and refrigerate for 1 hour. Dust with remaining confectioners’ sugar. Slice; garnish with remaining whipped topping. Yield: 2 cakes (8 slices each). Nutritional Analysis:One slice equals 175 calories, 2 g fat (2 g saturated fat), 0 cholesterol, 171 mg sodium, 36 g carbohydrate, trace fiber, 3 g protein. Diabetic Exchange: 1-1/2 starch, 1 fruit.